[00:17:02] <KimK> I missed this when it first appeared, maybe others missed it too? "...Ubuntu MATE [MAH-tay] is on the path to become the latest addition to the family of official Ubuntu flavours..." (AKA, The return of the classic interface!) http://distrowatch.com/weekly.php?issue=20140825#news Maybe by 16.04 LTS it'll be all settled in. 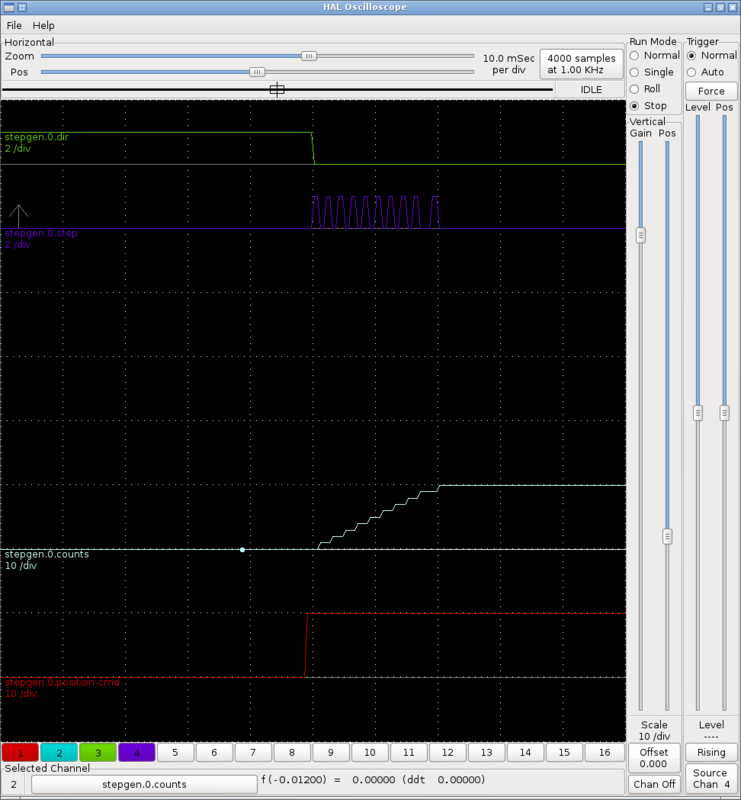 [01:08:47] <jepler> in theory if I now do a --write (no --fallback) and interrupt it (ctrl-c) it'll boot to the fallback, which will have SPI, and I'll be able to tell from a blinking LED? [01:12:08] <PCW> no speed control? [01:19:31] <jepler> PCW: I write software build systems for fun, apparently. [12:34:35] <skunkworks> I still have issues with the motherboard in the k&t. Dad has about 4 of them but the latency with the new debian image is >100k. (tried multible video cards) these are ASUS M2N68-AM PLUS motherboards. Anything I should try? [12:46:45] <jepler> skunkworks: flog 10.04 along for another few years? [12:47:54] <jepler> tried master branch and preempt-rt? [12:49:24] <skunkworks> I should disable audio for grins..
[13:09:29] <NTU> skunkworks: you're using 10.04? i could try making debs for you. [13:10:00] <NTU> is seb_kuzminsky's rtai package building instructions up anywhere? [13:13:34] <NTU> jepler: that makes it easy then! [13:18:37] <NTU> server 10.04.04, desktop 10.04 or desktop 10.04.1? [13:22:32] <NTU> actually all the 10.04 releases are for "servers"
[13:25:10] <NTU> ah i found it! [13:41:16] <NTU> heh 10.04 doesnt work for me, it keeps logging me out when i click on "install 10.04"
[16:09:36] <NTU> skunkworks_: are you using a 64-bit system w/ 10.04? [16:11:49] <NTU> have you tried isolcpus at all? [16:12:40] <NTU> i assume that didnt help, have you tried idle=poll ? [16:13:12] <NTU> how bad latency are we talking? [16:18:13] <NTU> are you getting any APIC superious interrupts in dmesg? [16:19:55] <NTU> is your AMD CPU a fusion APU? [16:20:54] <NTU> "tried multiple video cards" missed that..
[17:51:57] <NTU> jepler are you aware of all the undefined variables in makefiles? [17:52:10] <NTU> or is it just because im using make 4.0 ? [17:57:38] <jepler> NTU: it's possible that you're seeing undefined variable warnings due to a different version of make. [17:57:54] <NTU> it wont build for me..
[17:58:59] <jepler> oh do they exclusively occur while building kernel modules? [18:06:19] <jepler> does this change shut kbuild up? [18:06:22] <jepler> $(PYTHON) modsilent.py $(MAKE) KBUILD_EXTRA_SYMBOLS=$(moduledir)/Module. [18:11:14] <zq> if i want to configure an axis to 1 pulse per unit, would it be OUTPUT_SCALE = SCALE = 1.0? [18:59:46] <jepler> zq: if you don't believe what the docs say, did you test it and see what it does? [19:30:51] <zq> wait no what i do? [20:58:40] <jepler> I guess soembody reads the commit list. [21:00:47] <seb_kuzminsky> and i guess someone pays attention to the arm buildslave?